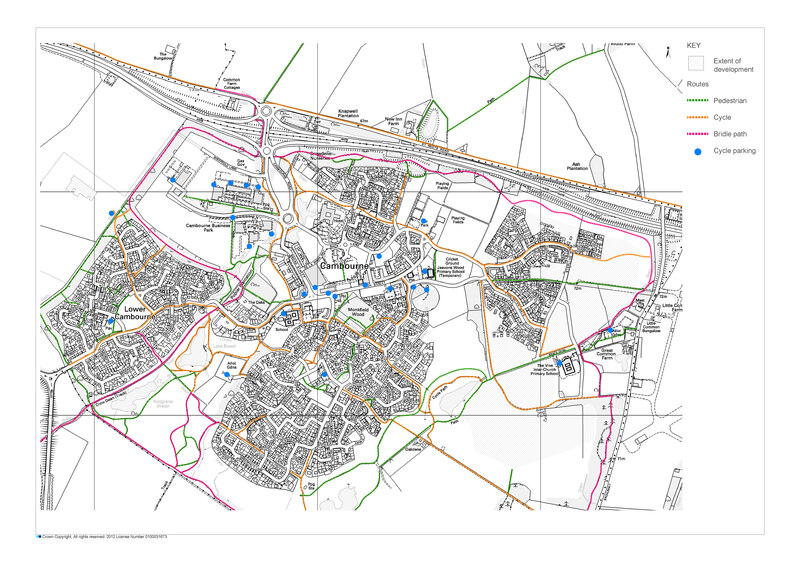 Download a file of the cycling and walk map via the link to the right. 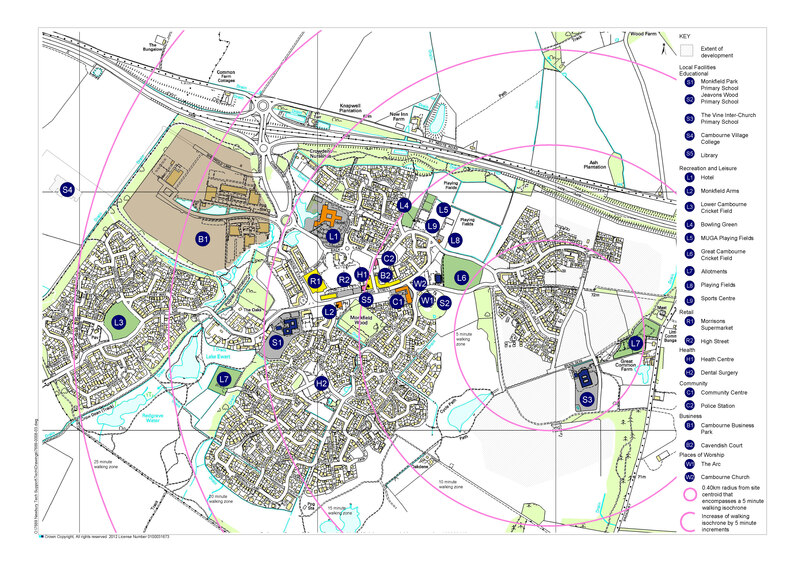 To plan your cycle route from Cambourne visit Cambridge CycleStreets. CycleStreets is a UK-wide cycle journey planner system, which lets you plan routes from A to B by bike. It is designed by cyclists, for cyclists, and caters for the needs of both confident and less confident cyclists. Cyclestreets also shows the location of cycle parking within Cambourne which is around the high street. The above link shoes the location of cycle parking within Cambourne around the high street. This provides information on safe courses for children and on links for adult cycle training. This provides links to cycle instruction for adults to build confidence if you have recently rediscovered your enthusiasm for cycling.